New York à la Keiko: You like? I like architectural, modern, artsy, sculpted, molded pieces..especially when you can wear it. 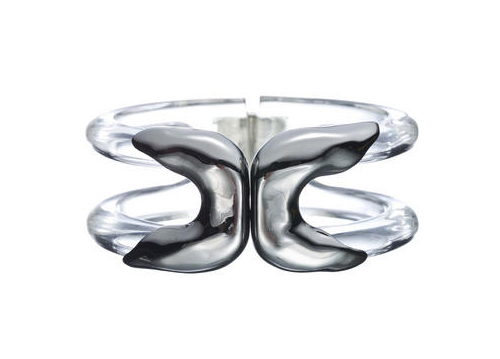 How do you like this piece from Alexis Bittar called MODERNIST GUNMETAL CLEAR MOLTEN BRACELET. Fancy name!